Extended features for “WooCommerce License Keys” plugin. 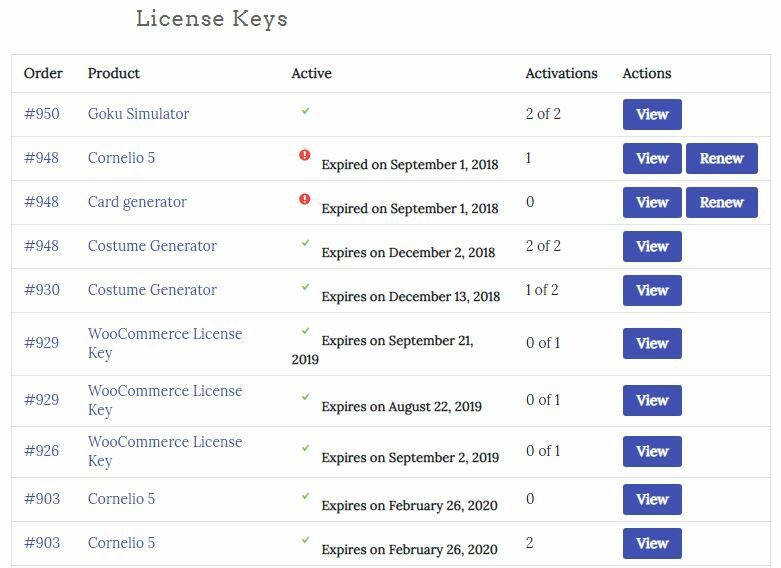 The ultimate License Keys Manager for WordPress and WooCommerce. 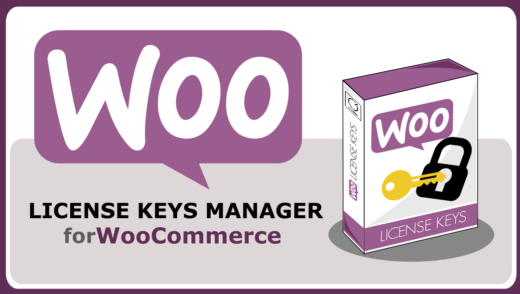 This premium plugin will extend the functionality and features of the regular WooCommerce License Keys, which can be download and install free of change from WordPress.org. WooCommerce License Keys adds a new product type to your WordPress and WooCommerce setup, and lets you create and handle license keys that can be used to validate your licensed products; it comes with a built-in with a validator API (service) with endpoints that will let you activate, validate and deactivate license keys via HTTP requests; we provide various solutions to integrate the API with your software products. Allow your customers to renew expired license keys or extend existing ones with ease. 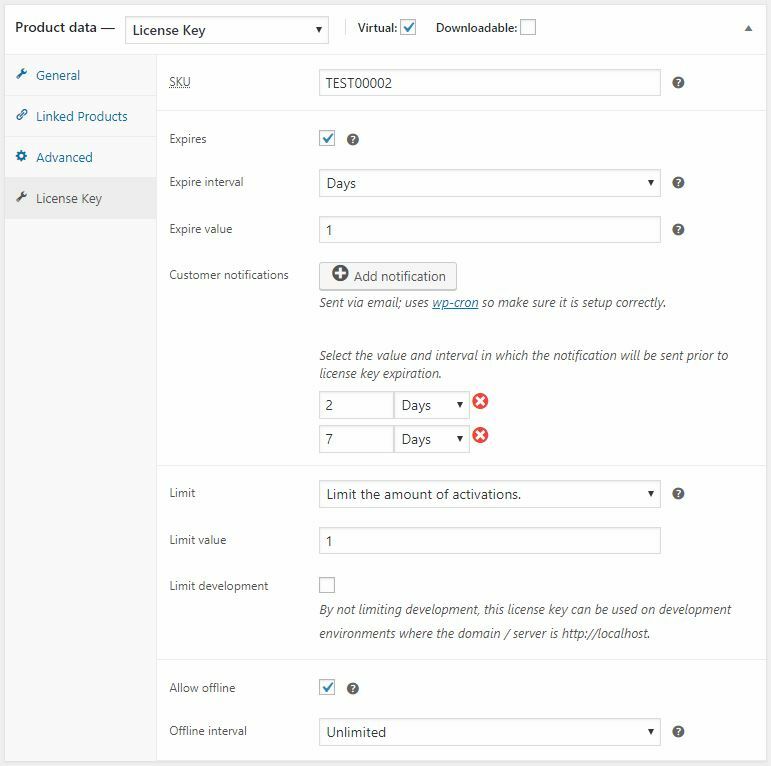 This premium plugin will add these options in the customer’s “My Account” page, and will let them re-repurchase their existing license keys to either renew or extend them, making your products to adopt a subscription payment model that doesn’t feel enforced or robbed. 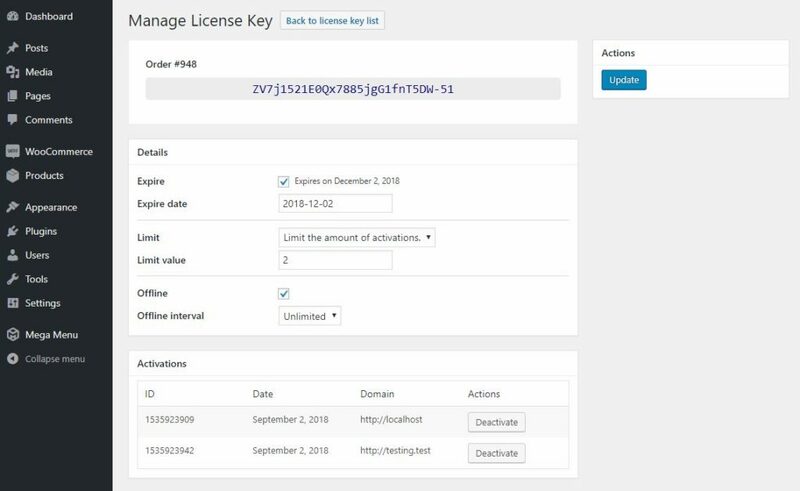 Automatic notifications can be sent and customized to inform your customers about their license keys expiration and the option to extend them. (uses WP Cron). 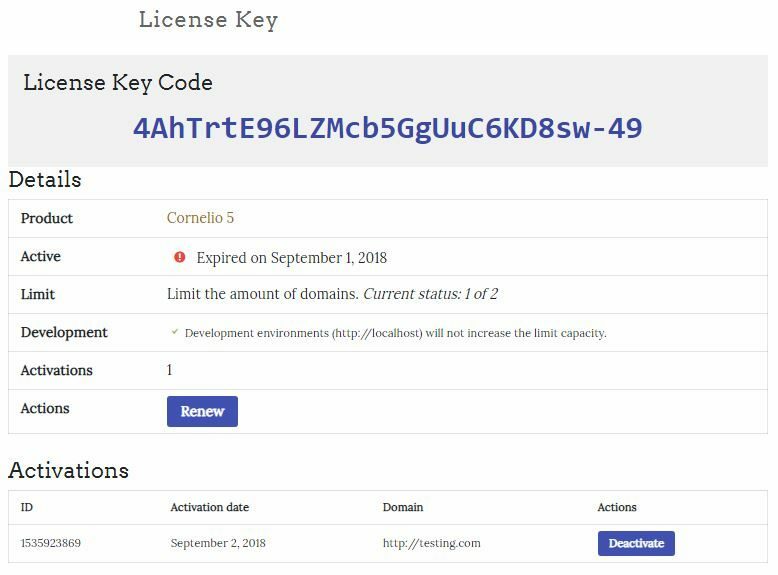 Add more options to your license keys! 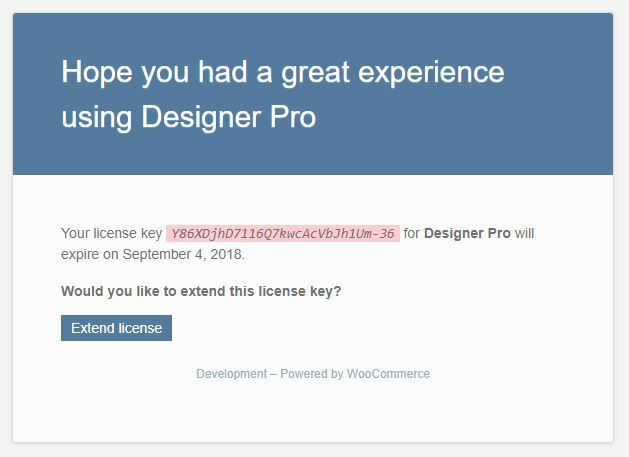 Add automatic email notifications to inform your customers when their license keys are close to expire. 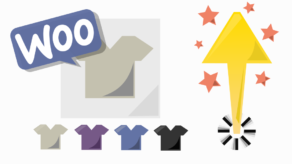 Add limitations to the amount of activations your customers can make. Allow your customers to use your products with no limitations on development environments. Allow your customers to use your products in offline environments. Attach downloadable data to the API responses to allow your products to perform software update checks. This premium plugin comes with an analytics module which will enable you to track your API’s activity and performance. Includes three graphs: activity graph (amount of requests done to the API), performance graph (API’s response times) and success ratio graph. 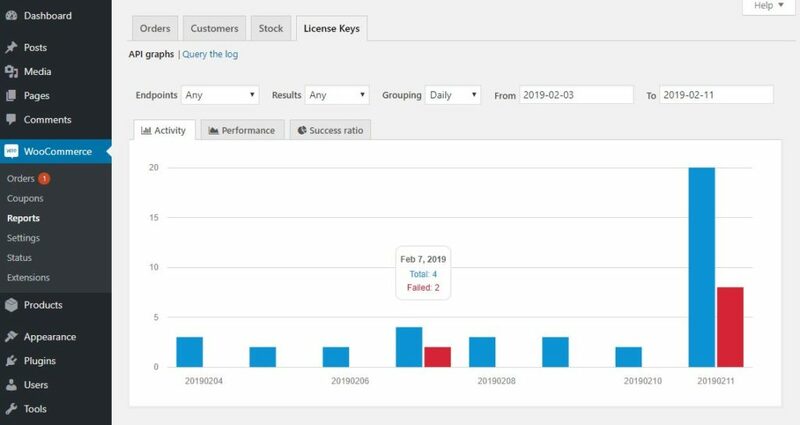 All graphs can be filtered based on endpoint, result status and date, and results can be grouped daily or monthly. Every option available for you to analyse your API’s and products behavior. 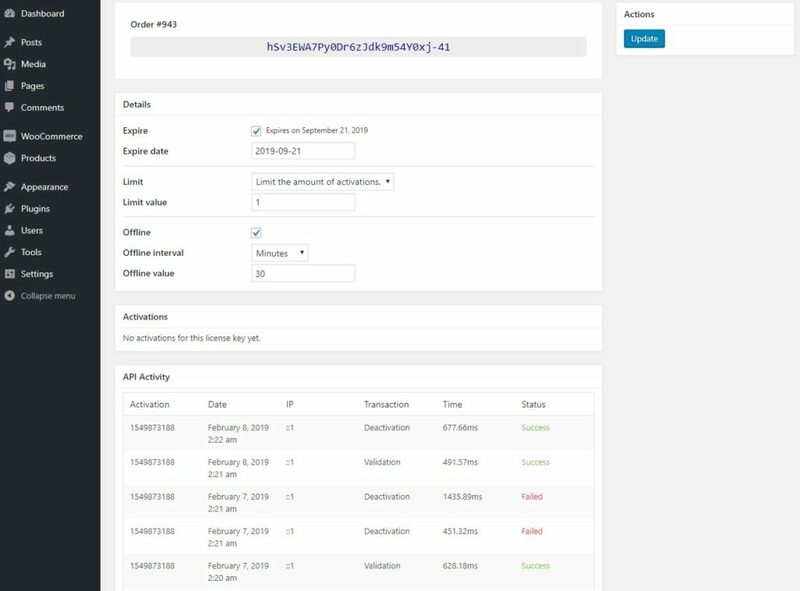 Additionally, this plugin will grant you access to the log where all tracking records are stored, allowing you to search, query, view and analyze every data if needed. 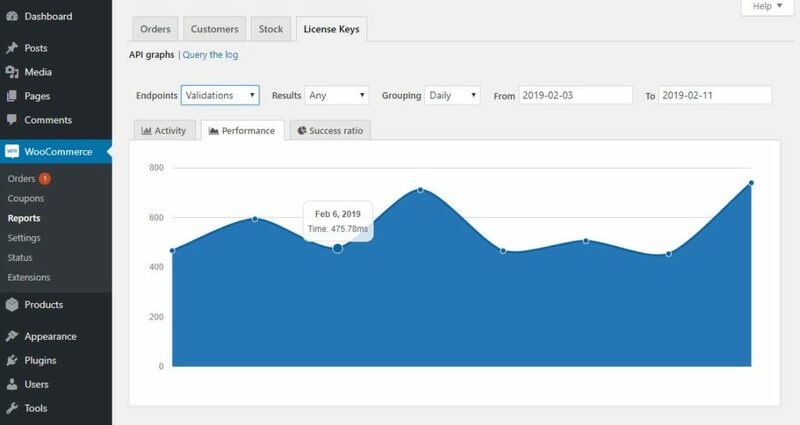 This premium plugin comes with management pages and forms that will allow you to manage, view and edit purchased license keys in an order, allowing you to have full control of its options and of the activations made by your customers. 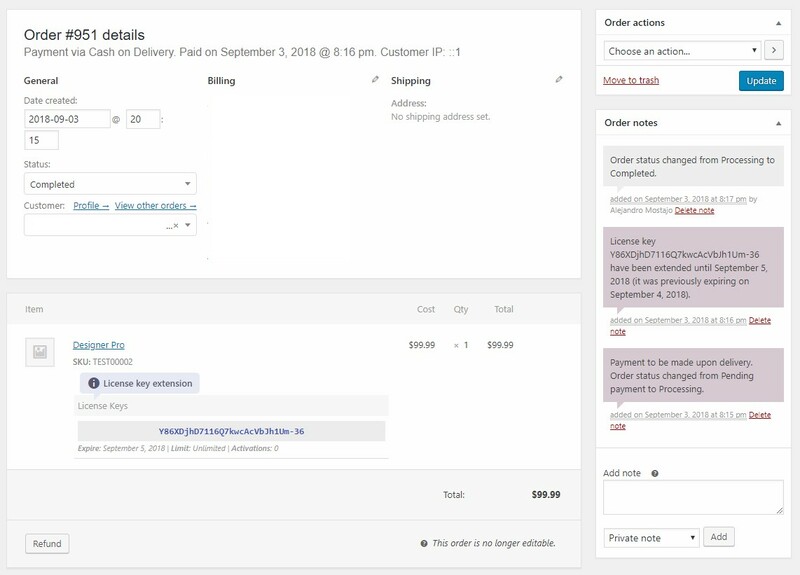 This plugin uses WooCommerce’s templating system for all its customer related content. 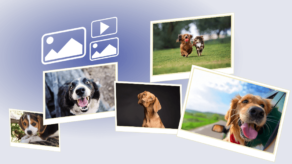 Allowing you to edit and customize it inside your themes with ease and using available documentation. You will receive any new update of this extension, that could include bug fixes or new features, FREE-OF-CHARGE as long as you possess an active license (which will be given to you upon purchasing). 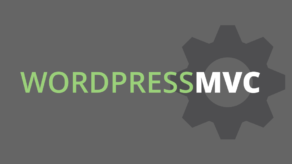 Updates will be notified directly in your wordpress setup (and you would be able to opt to install them), you won’t need to search for them on your email or our website. Version 5 or greater (Analytics requires version 5.6 or greater). Limited in the number of activations. Up to 1 activation allowed. Developers support. Development environments (running on localhost) do not increase limit capacity, allowing this license to be used on production and development. ©2019 10 Quality Studio (Ten Quality Studio S.R.L. Costa Rica) . All rights reserved.